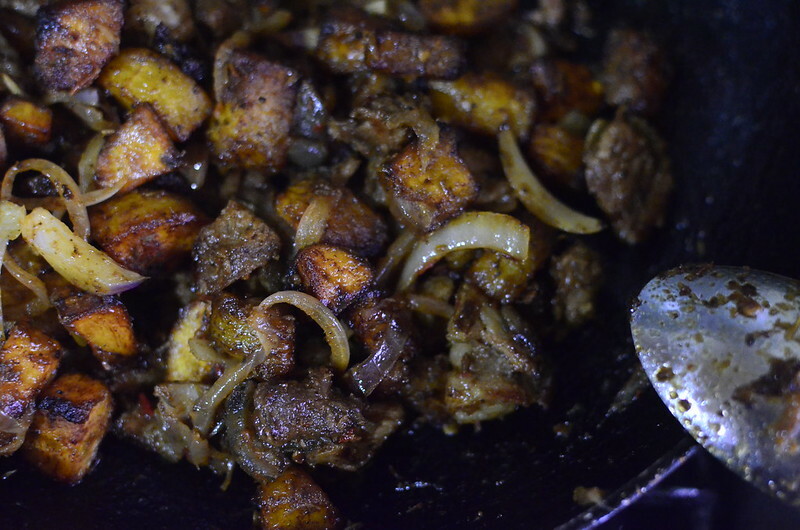 When hot and smoky asun (goat meat) meets sweet, soft, ripe fried plantains, sauce and onions in a quick, delicious mix. 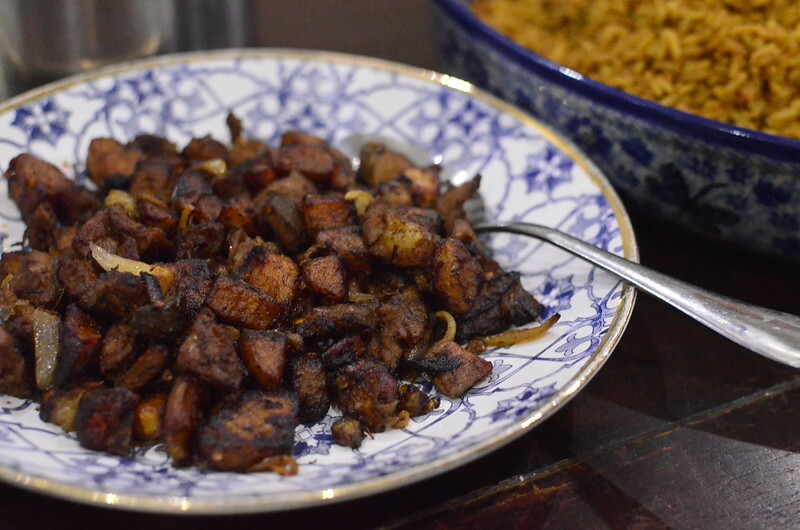 A bit like the diasporan gizdodo – a delightful combination of cooked gizzards and dodo – fried plantain. 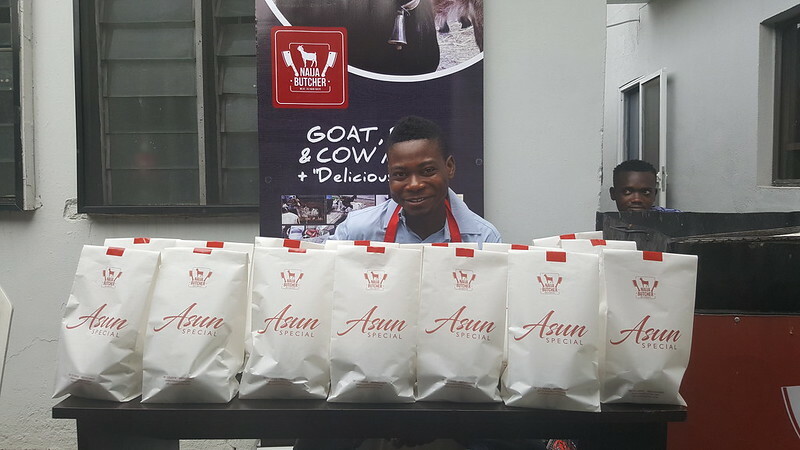 One: Buy ready-made asun – because who has time to cut the buy and prep goat et al? Not me most days. 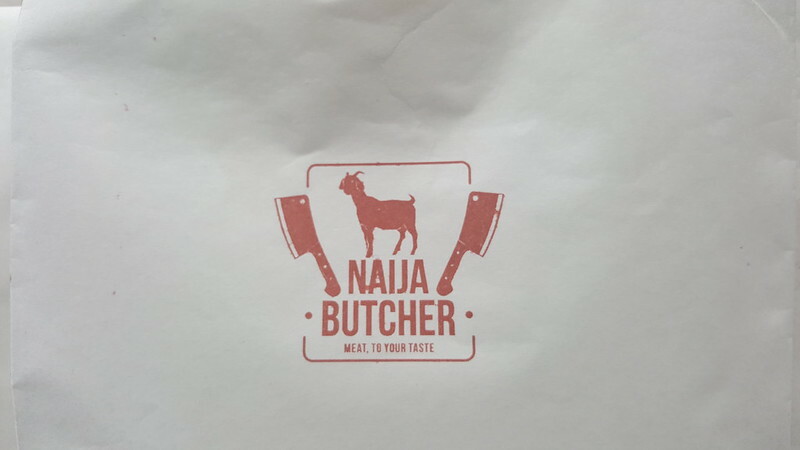 I love the asun from Naija Butcher – a very recent discovery so I use theirs. I prep this a bit further though – I cut the already small pieces into smaller bits and separate the fatty cuts. They’ll go into the pan first and I’ll try to render them down. 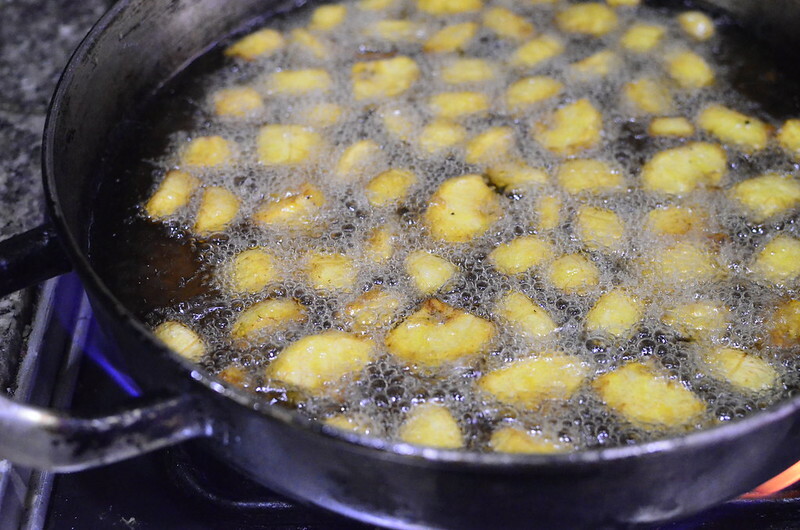 Two: Get yourself some nice plantains – just-soft and ripe and fry them to perfection. I like extra onions which I slice and a tiny bit of fried tomato sauce aka stew. 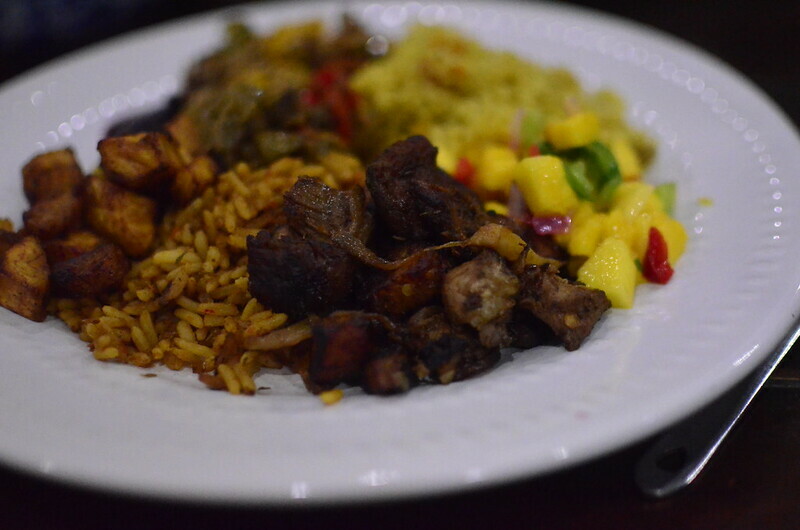 Ratios are great here – I go for roughly half and half with the asun and plantain and then add a quarter of stew. 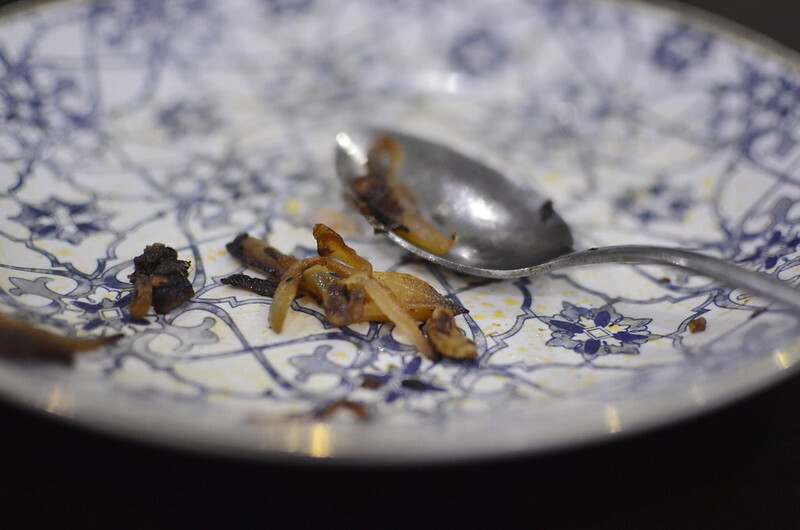 Dice your plantains by cutting down the length across both halves, in the manner of a cross and across to get small cubes. Lightly salt and then fry on medium heat till golden. 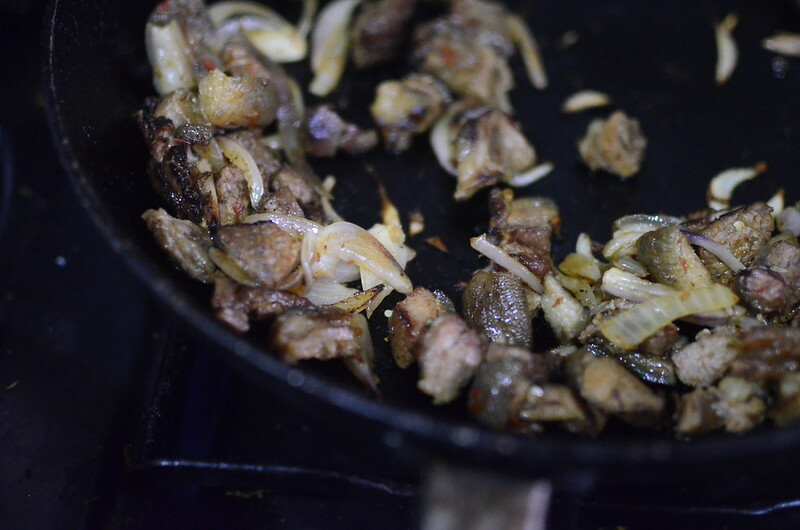 Heat up the fatty cuts of asun in a dry pan and on low heat and let cook for a minute or two, stirring. Then add the onions and stir for a few minutes. 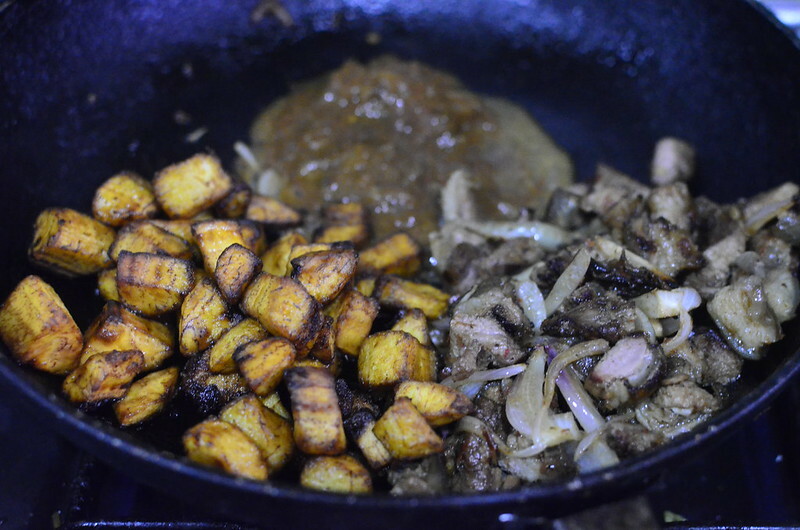 Finally, combine the asun, dodo and sauce and heat through on low to medium for a couple of minutes, stirring to ensure everything is well mixed.